The Cooler: Miguel Sano is on a pace that would see him strike out more than 250 times in a season of 600-plus plate appearances. Byron Buxton has a .383 on base-plus-slugging percentage, which is awful. *La Velle E. Neal III had a piece today on Eduardo Escobar and Eddie Rosario (headline: Two Eds are better than one, which I wish I would have written). It was a nice recap of the excellent seasons-to-date for both players, who have more or less carried a worse-than-expected Twins offense and kept the team from being even worse than its 28-34 mark. What the piece also underscored, though, was just how bad everyone else in the lineup has been. A few players are at a proper level of achievement (Max Kepler, .760 OPS and Ehire Adrianza at .703 thanks to better hitting lately fit that description). Others have underachieved relative to recent years (Brian Dozier, Logan Morrison and Robbie Grossman fit that description). But two have been awful or injured for almost the entire season so far: Miguel Sano and Byron Buxton. As referenced by Patrick Reusse the other day, both guys showed up high on David Schoenfield’s list of 10 hyped players “running out of time” when it comes to being stars. 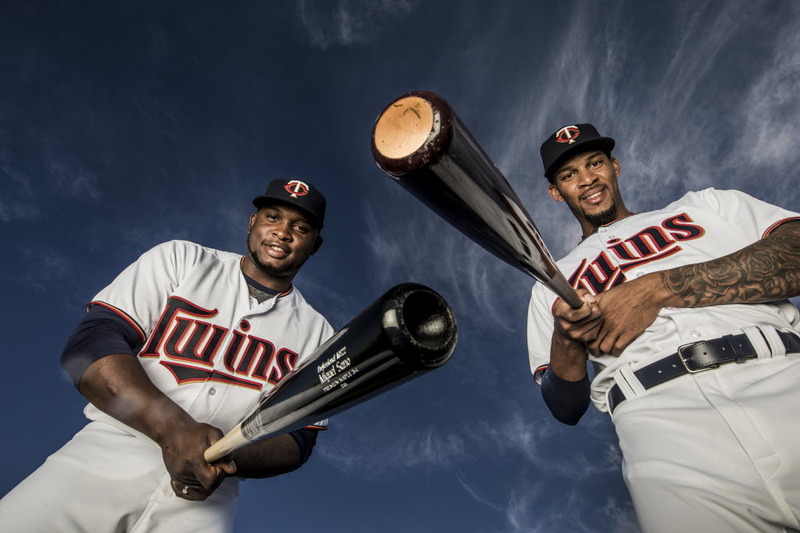 Both have shown flashes for reasonably long stretches: Sano in the second half of 2015 and first half of 2017, and Buxton in the second half of 2017. They both came into the season past or very near the 1,000 plate appearance mark — considered in some circles the magic number when hitters turn a corner and figure things out for good. Instead, Sano is on a pace that would see him strike out more than 250 times in a full season of 600-plus plate appearances. Buxton has an OPS of .383, which would be a great on-base percentage or a marginally acceptable slugging percentage but is terrible as a combination of those two numbers. Maybe all the hype was unfair because it set both players up for only two outcomes: living up to it, whereby fans enjoy it but also expect it … or not living up to it, whereby fans get hostile. But they were also hyped because of their track records. And the flashes in the majors suggest star ability is still lurking within both Sano and Buxton. Schoenfield is right, though. Both guys debuted in 2015, so this is the fourth year in the majors. We’re no closer now than we were when Sano and Buxton arrived to knowing what their futures hold — or if we are, the needle is tilted in a negative direction. And if they don’t make it, everything we thought we knew about the Twins’ ceiling changes. *Now for a happier story: Alex Ovechkin and Braden Holtby — with a second assist/supervisory role to Triple Crown-winning jockey Mike Smith, who rode at Canterbury three decades ago and is therefore ONE OF US — helped Jimmy Fallon do a keg stand with the Stanley Cup. *If you’re looking for the gambling angle on where LeBron James will end up playing next year, consider the Lakers and 76ers the favorites, Houston a dark horse and Cleveland a long shot.